Dr. Kelly Souza obtained her Master’s of Arts in Counseling Psychology and Doctorate of Psychology from Southern California Seminary. She has been working in the field of mental health for the past 14 years in various settings including residential foster care, a psychiatric hospital, various partial hospitalization and intensive outpatient programs and outpatient therapy centers. Kelly has worked with various populations; including individuals with eating disorders, children and adolescents with severe emotional disturbances, adolescents on probation, adults with co-occurring mental health and addiction issues, adults with severe psychotic disorders, couples and families. 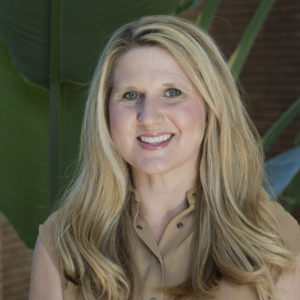 Her clinical background and passion for eating disorder recovery provides a sense of trust and helps foster a safe environment for clients as they begin this path to a happier, healthier life. Kelly has seen how recovery from an eating disorder can restore a person’s entire view of him or herself and allow him or her to become participating members of his or her life. Being a part of this journey with clients is a blessing.